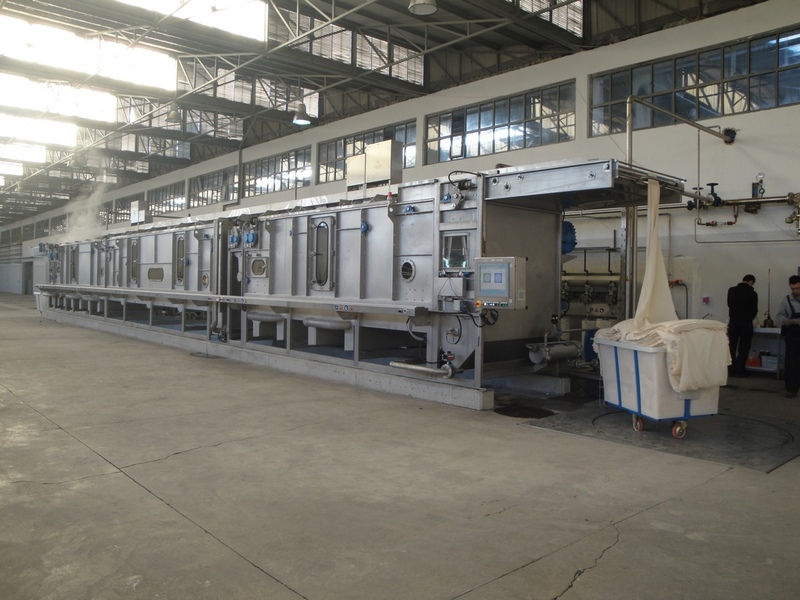 The first step to continuous finishing is made at SCOUT pad-steam bleaching ranges, which are suitable for scouring any cellulosic fabric, producing a constant and homogeneous base product for later dyeing or printing. Low water, steam and power consumption. from 5 [t/day] to 25 [t/day]. 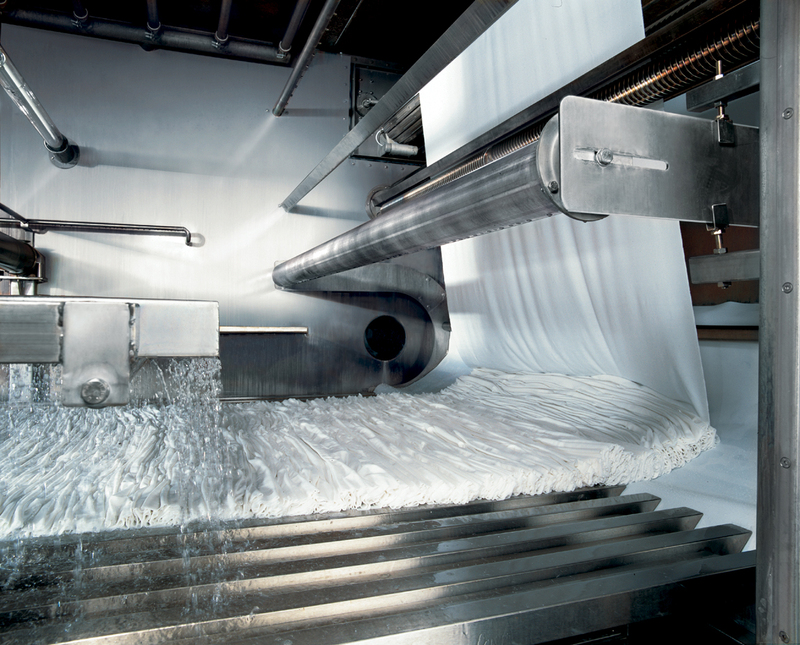 With our GALAXY, continuous pad-steam bleaching is also possible in tubular form. 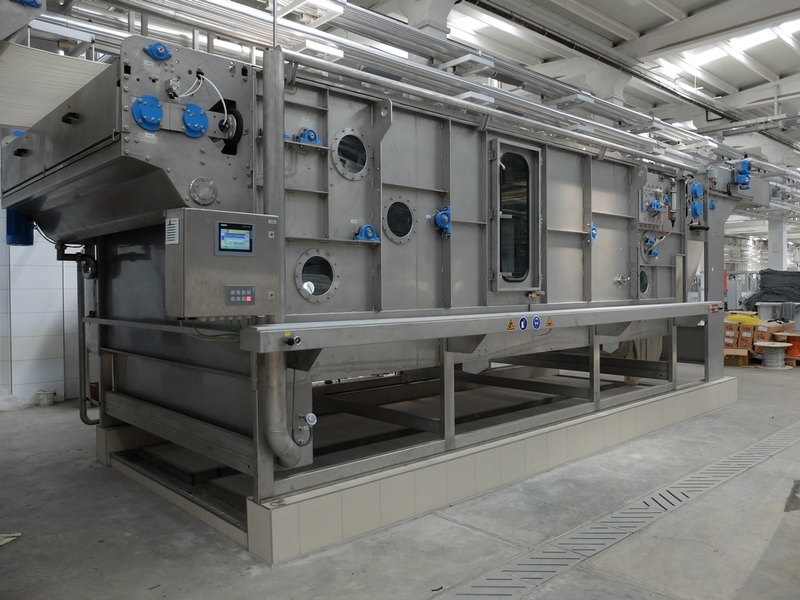 Using the same principles and know-how applied on our open-width technologies, we are able to achieve high production and outstanding fabric quality with low processing costs. GALAXY ranges are available in setups from 5 [t/day] to 20 [t/day] for narrow or body size widths in half or full white. 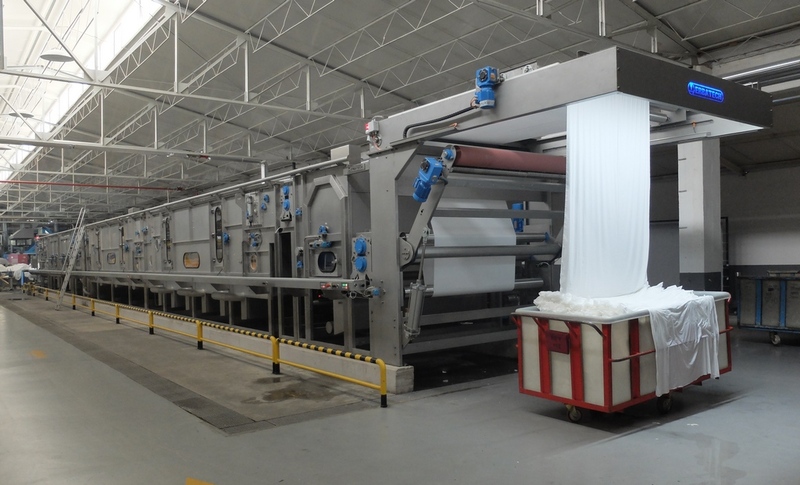 Perfect for the production of seamless T-shirts or underwear. The optical brightener compartment (OBA) can be added at the end of any SCOUT or GALAXY pad-steam bleaching range in order to apply high or medium affinity optical brighteners without contaminating the main (bleaching) machine.